"God, the King and Burundi"
Territory of the Kingdom of Burundi in 1966. The Kingdom of Burundi (French: Royaume du Burundi) or Kingdom of Urundi (Royaume d'Urundi) was a polity ruled by a traditional monarch in modern-day Republic of Burundi in the Great Lakes region of East Africa. The kingdom, majority ethnic Hutu, was ruled by a monarch from the Tutsi ethnic group with the title of mwami. 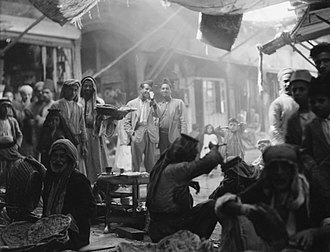 Created in the 17th century, the kingdom was preserved under European colonial rule in the late 19th and early 20th century and was an independent state between 1962 and 1966. The date of the foundation of the Kingdom of Burundi is unknown but probably dates back to the 17th century when the Tutsi ethnic group gained dominance over the larger ethnic Hutu population of the region. Under mwami Ntare I (r. 1675–1705), the kingdom expanded and annexed a number of surrounding polities. Although ruled by the mwami, the kingdom was extensively decentralised and local sub-rulers had wide independence. Before the arrival of European colonists, succession struggles were also common. In 1890, Burundi became part of the German colonial empire as part of German East Africa but was not effectively occupied or controlled by the colonial power. 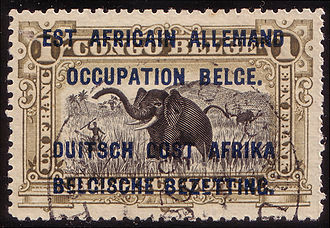 During World War I, Belgian troops from the neighbouring Belgian Congo invaded the region and occupied it. The Belgians were awarded Burundi, together with the neighbouring Kingdom of Rwanda, as an international mandate by the League of Nations. 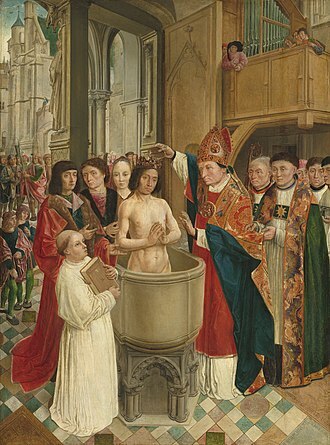 The Belgians, however, preserved many of the kingdom's institutions intact. Whereas the similar Rwandan monarchy was abolished in a revolution between 1959 and 1961, the Burundian monarchy succeeded in surviving into the post-colonial period. In 1962, the Kingdom of Burundi regained its independence as a constitutional monarchy in which the mwami held executive power and legislative power was given to the parliament. Ethnic violence between the Hutu majority and the Tutsi minority rose, however, between 1963 and 1965 and culminated with a failed coup d'état against the monarchy of Mwambutsa IV in 1965. Mwambutsa's son, Ntare V, deposed his father in a July 1966 coup d'état, but was himself ousted from power in a November 1966 coup d'état by his Prime Minister, Michel Micombero, who abolished the monarchy. Most members of the royal house live in exile in France today. In the 2005 elections, Princess Esther Kamatari ran for president for the Party for the Restoration of Monarchy and Dialogue in Burundi (Abahuza). Supporters believe that a restoration of a constitutional monarchy could help to ease the country's ethnic tensions. The flag of the kingdom contained a karyenda in the center as a symbol of royal authority. ^ a b c "Kingdom of Burundi". Encyclopædia Britannica (Online ed.). Retrieved 15 October 2016. ^ a b "Burundi: Fall of the Monarchy (1962 - 1966)". African Democracy Encyclopaedia Project. Retrieved 15 October 2016. ^ "Pro-monarchy party gets green light in Burundi". Panapress. 21 September 2004. Retrieved 15 October 2016. ^ Guide to the Flags of the World by Mauro Talocci, revised and updated by Whitney Smith (ISBN 0-688-01141-1), p. 153. Gahama, Joseph (1983). Le Burundi sous administration belge: La periode du mandat, 1919-1939. Paris: Karthala. ISBN 9782865370894. After a 1961 referendum, Rwanda became a republic and received its independence in 1962. The Hutu majority, 82–85% of the population, were mostly peasants while the kings, certainly some Hutus were nobility and, considerable intermingling took place. Before the 19th century, it was believed that the Tutsis held military leadership power while the Hutus possessed healing power, in this capacity, the Mwamis council of advisors was exclusively Hutu and held significant sway. By the mid-18th century, the abiiru had become increasingly marginalized, the position of Queen Mother was an important one, managing the royal household and being heavily involved in court politics. When their sons ascended to the throne, mothers would take a new name, most of the chiefs appointed by the Mwamis were Tutsi. This system left Hutus in a status with Tutsi chiefs as their feudal masters. Under Mwami Rwabugiri, Rwanda became an expansionist state, Rwabugiri did not bother to assess the ethnic identities of conquered peoples and simply labeled all of them “Hutu”. General Michel Micombero was a Burundian politician and soldier who ruled the country as its first President and de facto dictator for the decade between 1966 and 1976. Micombero was a member of the Tutsi ethnic group, as President, Micombero ruled Burundi as a military dictator. He led a one-party state which centralised the countrys institutions and adapted political ideologies from other countries in the region. Dissent was repressed and, in 1972, an attempt to challenge Micomberos power led to a genocide against the Hutu population in which around 100,000 people and his regime finally collapsed in 1976 when he was ousted in a coup détat by Jean-Baptiste Bagaza. He went into exile in Somalia and died in 1983, Micombero was born in Rutovu, Bururi Province in Belgian-ruled Ruanda-Urundi in 1940. His parents were peasants from the Hema people, part of the Tutsi ethnic group, Micombero studied at Catholic mission schools in Burundi and, in 1960, joined the Burundian military which was being formed ahead of planned independence in 1962. As part of his training, he was sent to study at the Royal Military Academy in Brussels, at the time of the independence of the Kingdom of Burundi in July 1962, he held the rank of captain. In early post-independence Burundi, the Tutsi-dominated monarchy of Mwambutsa IV attempted to balance the interests of Tutsi with those of the Hutu majority, in 1963, Micombero joined the ruling Union for National Progress party which, though dominated by Tutsi, tried to attract Hutu members. In June, Micombero was named State Secretary for Defense, making him head of the military at the age of 23, in October 1965, a group of ethnic Hutus attempted to overthrow the Burundian monarchy. Their attempt, though unsuccessful, led to Mwambutsa IV fleeing into exile, Micombero led the repression against the coups perpetrators. In July 1966, a second coup détat brought the son, Ntare V, to power. However, when Ntare was on a visit to the neighbouring Republic of the Congo in November 1966, a third coup détat abolished the monarchy. Mwambutsa IV Bangiricenge was king of Burundi who ruled between 1915 and 1966. He succeeded to the throne on the death of his father Mutaga IV Mbikije, born while Burundi was under German colonial rule, Mwambutsas reign mostly coincided with Belgian colonial rule. The Belgians retained the monarchs of both Rwanda and Burundi under the policy of indirect rule, Mwambutsa IV was born Prince Bangiricenge in c. 1912. Like other Burundian kings, he was an ethnic Ganwa and he became king, taking the regnal name Mwambutsa, on 16 December 1915 when he was still an infant following the death of his father in a family dispute. Because of his age, a regency was declared, several family members, including the Queen Mother Ririkumutima, served as regent. At the time of his coronation, Burundi was part of German East Africa but was captured by Belgium in 1916 during the East African Campaign in World War I, in 1925, a full regency council was established with Belgian approval. Mwambutsa became a ruler in his own right on 28 August 1929, on the independence of Burundi in July 1962, Mwambutsa IV became the head of state of Burundi with far reaching political power. In Rwanda, the monarchy had been overthrown between 1959–62 and he attempted to balance ethnic tensions between ethnic Hutu and Tutsi subjects by choosing his Prime Ministers from each ethnic group alternately. In October 1965, Hutu officers attempted a coup détat against the monarchy, despite their failure to take power, Mwambutsa fled into exile in the Republic of the Congo, eventually moving to Switzerland. In March 1966 he designated his only surviving son to exercise his powers on the spot, still in exile, Mwambutsa was officially deposed in a second coup détat and brought his son to power as Ntare V on 8 July 1966. The monarchy was abolished altogether in a third coup in November 1966 and its leader, Michel Micombero, came to power as president. Mwambutsa spent the rest of his life in Switzerland where he died in 1977, mwambutas remains were exhumed from their burial site in Switzerland in 2012 with a view to repatriating them to Burundi for a state funeral. After a legal battle, the remains were re-interred in Switzerland in 2016 in accordance with his familys wishes, grand Master of the Royal Order of Prince Louis Rwagasore. Burundi has the second-largest population density in Sub-Saharan Africa. Most people live on farms near areas of volcanic soil. The population is made up of three ethnic groups – Hutu and Twa. Intermarriage takes place frequently between the Hutus and Tutsis, the terms pastoralist and agriculturist, often used as ethnic designations for Watusi and Bahutu, are only occupational titles which vary among individuals and groups. Although Hutus encompass the majority of the population, historically Tutsis have been politically and economically dominant, according to the 2015 revision of the World Population Prospects, the total population was 11179000 in 2015, compared to only 2456000 in 1950. The proportion of children below the age of 15 in 2015 was 44. 8%,52. 7% was between 15 and 65 years of age, while 2. 5% was older than 65 years old. UN medium variant projections 20108,38220159,230202010,057202510,791203011,441203512,052204012,651204513,215205013,703 Registration of vital events is in Burundi not complete. German East Africa was a German colony in the African Great Lakes region, which included what are now Burundi and the mainland part of present Tanzania. Its area was 994,996 km2, nearly three times the area of present-day Germany, the colony was organized when the German military was called upon to put down a revolt against the activities of a colonial company during the late 1880s. It ended with Imperial Germanys defeat in World War I, ultimately it was divided between Britain and Belgium and reorganized as a mandate of the League of Nations. Like other powers, the Germans expanded their empire in the Africa Great Lakes region on the basis of fighting slavery, unlike other imperial powers, they never actually formally abolished it, preferring instead to curtail the production of new recruits and regulate the extant slaving business. 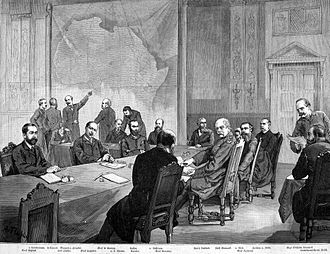 The colony began with Carl Peters, an adventurer who founded the Society for German Colonization, on 3 March 1885, the German government announced it had granted an imperial charter to Peters company and intended to establish a protectorate in the Africa Great Lakes region. 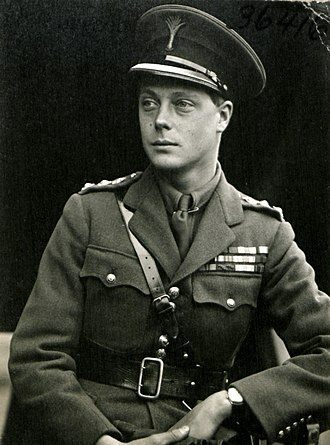 Peters recruited specialists, who began exploring south to the Rufiji River and north to Witu, the British and Germans agreed to divide the mainland between themselves, and the Sultan had no option but to agree. 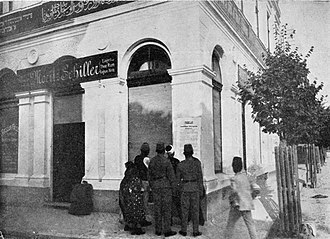 The Abushiri Revolt of 1888 was put down the following year, in 1890, London and Berlin concluded the Heligoland-Zanzibar Treaty, returning Heligoland to Germany and deciding on the borders of German East Africa. Between 1891 and 1894, the Hehe tribe, led by Chief Mkwawa and they were defeated because rival tribes supported the Germans. After years of warfare, Mkwawa himself was cornered and committed suicide in 1898. 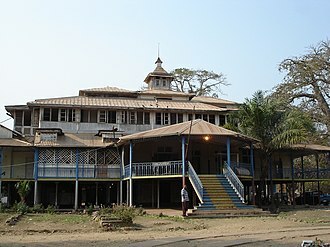 The Maji Maji Rebellion occurred in 1905 and was put down by the governor, but scandal soon followed, with stories of corruption and brutality, and in 1907 Chancellor Bülow appointed Bernhard Dernburg to reform the colonial administration. 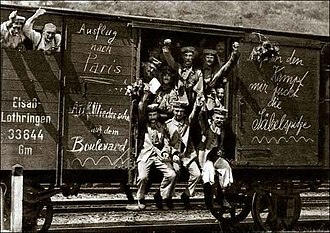 It became a model of efficiency and commanded extraordinary loyalty among the natives during the First World War. German colonial administrators relied heavily on native chiefs to keep order, Paul von Lettow-Vorbeck, was a successful general in German East Africa during World War I. East Africa or Eastern Africa is the easterly region of the African continent, variably defined by geography or geopolitics. 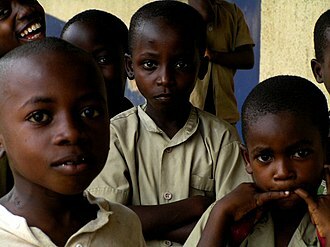 The first five are included in the African Great Lakes region. 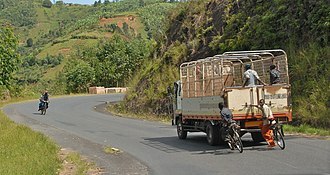 Burundi and Rwanda are sometimes considered to be part of Central Africa. Djibouti, Eritrea and Somalia – collectively known as the Horn of Africa, Comoros and Seychelles – small island nations in the Indian Ocean. Réunion and Mayotte – French overseas territories in the Indian Ocean and Madagascar – often considered part of Southern Africa, on the eastern side of the sub-continent. Madagascar has close ties to Southeast Asia and the islands of the Indian Ocean. Malawi and Zimbabwe – often included in Southern Africa, Egypt and South Sudan – collectively part of the Nile Valley. Situated in the portion of the continent, and Egypt. Also members of the Common Market for Eastern and Southern Africa free trade area, the geography of East Africa is often stunning and scenic. Shaped by global plate tectonic forces that have created the East African Rift, East Africa is the site of Mount Kilimanjaro and Mount Kenya and it includes the worlds second largest freshwater lake Lake Victoria, and the worlds second deepest lake Lake Tanganyika. The climate of East Africa is rather atypical of equatorial regions, in fact, on the coast of Somaliland and Puntland, many years can go by without any rain whatsoever. Unusually, most of the falls in two distinct wet seasons, one centred on April and the other in October or November. Annual rainfall here ranges from over 1,600 millimetres on the slopes to around 1,250 millimetres at Addis Ababa and 550 millimetres at Asmara. In the high rainfall can be over 2,500 millimetres. Temperatures in East Africa, except on the hot and generally humid coastal belt, are moderate, with maxima of around 25 °C, at altitudes of above 2,500 metres, frosts are common during the dry season and maxima typically about 21 °C or less. The unique geography and apparent suitability for farming made East Africa a target for European exploration and colonialization in the nineteenth century, tourism is an important part of the economies of Kenya, Tanzania and Uganda. The easternmost point of the continent, that is Ras Hafun in Somalia, is of archaeological and economical importance, there are differing theories on whether there was a single exodus or several, a multiple dispersal model involves the Southern Dispersal theory. Research suggests, the current conditions of postcolonial societies have roots in colonial actions and policies. For example, colonial policies, such as the type of rule implemented, the nature of investments, examination of the state-building process, economic development, and cultural norms and mores shows the direct and indirect consequences of colonialism on the postcolonial states. 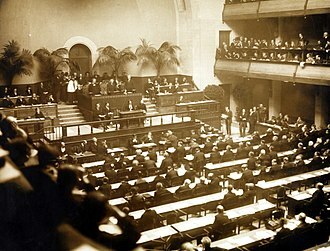 The dismantling of European empires following World War II saw the process of decolonization begin in earnest, one of the main clauses of the charter acknowledged the right of all people to choose their own government. 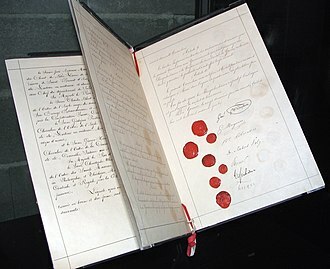 The document became the foundation for the United Nations and all of its components were integrated into the UN Charter, despite a uniform effort by the United Nations, modern postcolonial states vary widely in terms of political and economic stability. These frequently overlapped or existed on a spectrum, settler colonialism is a form of colonisation where foreign citizens move into a region and create permanent or temporary settlements called colonies. The creation of colonies often resulted in the forced migration of indigenous peoples to less desirable territories through forced migration. This practice is exemplified in the established in the United States, New Zealand, South Africa, Argentina. The resettlement of indigenous peoples frequently occurs along demographic lines, regions free of tropical disease with easy access to trade routes were favorable. When Europeans settled in these territories, natives were forced out. Ugandan academic Mahmood Mamdani cites “the destruction of communal autonomy, as agricultural expansion continued through the territories, native populations were further displaced to clear fertile farmland. Many settler colonies sought to establish European-like institutions and practices that granted personal freedoms, jury trials, freedom from arbitrary arrest, and electoral representation were implemented to allow settlers rights similar to those enjoyed in Europe. Though these rights were not extended to the indigenous people. 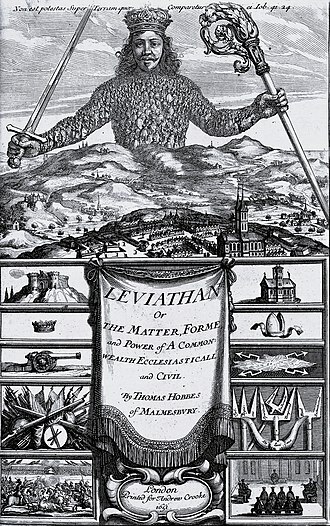 Therefore, they established authoritarian regimes in these colonies, which had no limits on state power, exploitation colonialism is a form of colonisation where foreign citizens conquer a country in order to control and capitalize on its natural resources and indigenous population. Acemoglu and Robinson argue, “institutions did not introduce much protection for property, nor did they provide checks. In fact, the purpose of the extractive state was to transfer as much of the resources of the colony to the colonizer, with the minimum amount of investment possible. ”Since these colonies were created with the intent to extract resources. 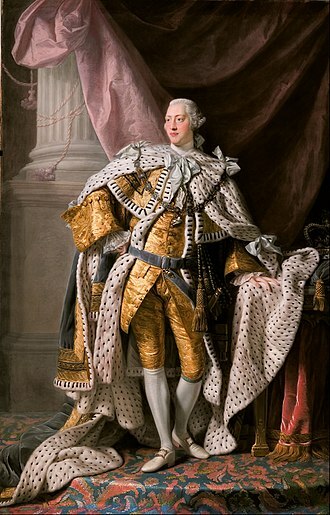 Thus, Europeans established authoritarian regimes in these colonies, which had no limits on state power, the policies and practices carried out by King Leopold II of Belgium in the Congo Basin are an extreme example of exploitation colonialism. E. D. Morel, a British journalist, pacifist, Morel believed the Belgian system that eliminated traditional, commercial markets in favor of pure exploitation was the root cause of the injustice in the Congo. The Cold War was a state of geopolitical tension after World War II between powers in the Eastern Bloc and powers in the Western Bloc. Historians do not fully agree on the dates, but a common timeframe is the period between 1947, the year the Truman Doctrine was announced, and 1991, the year the Soviet Union collapsed. 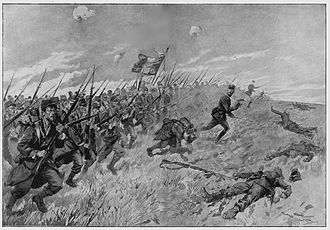 The term cold is used there was no large-scale fighting directly between the two sides, although there were major regional wars, known as proxy wars, supported by the two sides. The Cold War split the temporary alliance against Nazi Germany, leaving the Soviet Union. The USSR was a Marxist–Leninist state ruled by its Communist Party and secret police, the Party controlled the press, the military, the economy and all organizations. In opposition stood the West, dominantly democratic and capitalist with a free press, a small neutral bloc arose with the Non-Aligned Movement, it sought good relations with both sides. 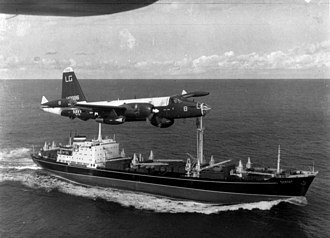 The two superpowers never engaged directly in full-scale armed combat, but they were armed in preparation for a possible all-out nuclear world war. 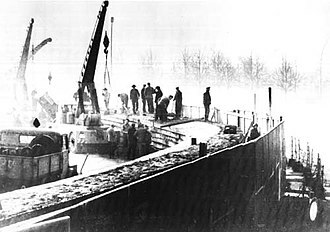 The first phase of the Cold War began in the first two years after the end of the Second World War in 1945, the Berlin Blockade was the first major crisis of the Cold War. With the victory of the communist side in the Chinese Civil War and the outbreak of the Korean War, the USSR and USA competed for influence in Latin America, and the decolonizing states of Africa and Asia. Meanwhile, the Hungarian Revolution of 1956 was stopped by the Soviets, the expansion and escalation sparked more crises, such as the Suez Crisis, the Berlin Crisis of 1961, and the Cuban Missile Crisis of 1962. The USSR crushed the 1968 Prague Spring liberalization program in Czechoslovakia, détente collapsed at the end of the decade with the beginning of the Soviet–Afghan War in 1979. The early 1980s were another period of elevated tension, with the Soviet downing of Korean Air Lines Flight 007, the United States increased diplomatic and economic pressures on the Soviet Union, at a time when the communist state was already suffering from economic stagnation. The revolution saw the country transition from a Belgian colony with a Tutsi monarchy to an independent Hutu-dominated republic. Rwanda had been ruled by a Tutsi monarchy since at least the 18th century, with entrenched pro-Tutsi and Belgium successively controlled Rwanda through the early 20th century, with both European nations ruling through the kings and perpetuating a pro-Tutsi policy. After 1945 a Hutu counter-elite developed, leading to the deterioration of relations between the groups, the Tutsi leadership agitated for speedy independence to cement their power, and the Hutu elite called for the transfer of power from Tutsi to Hutu. The revolution began in November 1959, with a series of riots, violence quickly spread throughout the country. Logiest reestablished law and order, beginning a programme to promote, the Belgians replaced many Tutsi chiefs and sub-chiefs with Hutu, consigning King Kigeli V to figurehead status, Kigeli fled the country. 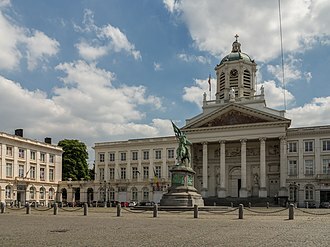 Despite continued anti-Tutsi violence, Belgium organised local elections in mid-1960, Hutu parties gained control of nearly all communes, effectively ending the revolution. Logiest and Hutu leader Grégoire Kayibanda declared Rwanda an autonomous republic in 1961, the revolution caused at least 336,000 Tutsi to flee to neighbouring countries, where they lived as refugees. Although the exiles agitated for a return to Rwanda, they were split between those seeking negotiation and those wishing to overthrow the new regime. Some exiles formed armed groups, who launched attacks into Rwanda, the largest occurred in late 1963, when a surprise attack approached Kigali. The government fought back, defeating the inyenzi and killing thousands of the remaining Tutsi in Rwanda, no further threat was posed by the refugees until the 1990s, when a civil war initiated by the Tutsi-refugee Front Patriotique Rwandais forced the Hutu government into negotiations. This led to a rise in Hutu extremism and the 1994 genocide, the earliest inhabitants of what is now Rwanda were the Twa, a group of aboriginal pygmy hunter-gatherers who settled the area between 8000 and 3000 BC and remain in the country today. 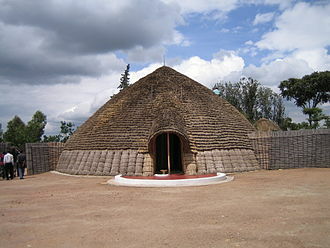 Between 700 BC and 1500 AD, a number of Bantu groups migrated into Rwanda, after losing much of their habitat, the forest-dwelling Twa moved to the mountains. Historians have several theories about the Bantu migrations, according to one, the first settlers were Hutu, the Tutsi migrated and formed a distinct racial group, possibly of Cushitic origin. An alternative theory is that the migration was slow and steady, in this theory the Hutu-Tutsi distinction arose as a class distinction, rather than a racial one. 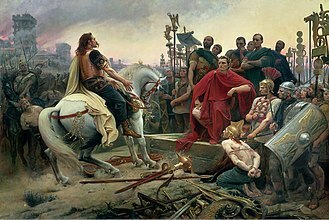 The population coalesced, first into clans and into about eight kingdoms by 1700, the country was fertile and densely populated, with its kingdoms strictly controlled socially. The Kingdom of Rwanda, ruled by the Tutsi Nyiginya clan, from its origins as a small toparchy near Lake Muhazi the kingdom expanded through conquest and assimilation, reaching its zenith under King Kigeli Rwabugiri between 1853 and 1895. Rwabugiri expanded the kingdom west and north, implementing administrative reforms which included ubuhake, Rwabugiris reforms developed a rift between the Hutu and Tutsi populations. Bujumbura, formerly Usumbura, is the capital, largest city, and main port of Burundi. It ships most of the chief export, coffee, as well as cotton. It is on the shore of Lake Tanganyika, the second deepest lake in the world after Lake Baikal. The city center is a town with a large market, the national stadium, a large mosque. Museums in the city include the Burundi Museum of Life and the Burundi Geological Museum, ferries sail from Bujumbura to Kigoma in Tanzania. The city is home to the Bujumbura International Airport and the University of Burundi, Bujumbura grew from a small village after it became a military post in German East Africa in 1889. After World War I it was made the center of the Belgian League of Nations mandate of Ruanda-Urundi. The name was changed from Usumbura to Bujumbura when Burundi became independent in 1962, since independence, Bujumbura has been the scene of frequent fighting between the countrys two main ethnic groups, with Hutu militias opposing the Tutsi-dominated Burundi army. Bujumbura today stands as a city but remains to develop with its country. According to the BBC, Bujumbura residents are known for their tradition of Saturday morning runs started during Burundis long years of ethnic conflict. Because the surrounding hills were home to armed militants before 2005, Bujumbura residents would try to vent their fear and frustration and claustrophobia, by running, in March 2014, President Pierre Nkurunziza banned jogging, due to fears it was being used as a cover for subversion. That same month, twenty-one opposition supporters were sentenced to life in prison for using jogging as a way to organize a demonstration that turned violent. As of June 2014 in Bujumbura, the authorities have since restricted jogging clubs to certain areas, all sports must now take place in nine parks in Bujumbura and other designated football pitches. 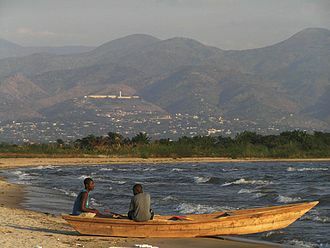 Bujumbura is governed by a community council and community administrator and it is further divided into 13 communes, or neighborhoods, each with its own council and boss. 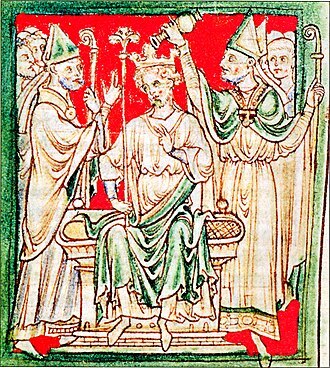 Richard I of England being anointed during his coronation in Westminster Abbey, from a 13th-century chronicle. A Tutsi immigrant in Berlin. The traditional Tutsi king's palace in Nyanza. 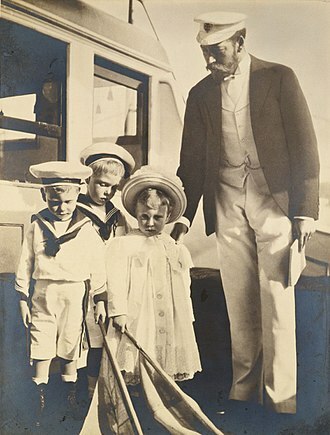 Lord Bryce, one of the earliest advocates for a League of Nations. Portrait of Thomas Spencer Baynes, editor of the 9th edition. Painted in 1888, it now hangs in the Senate Room of the University of St Andrews in Scotland. A group of Burundian women rearing goats. St. Paul's Indian Industrial School, Middlechurch, Manitoba, Canada, 1901. This school was part of the Canadian Indian residential school system. Dutch colonial administrator of the South Moluccas, picture taken 1940. A traditional Hutu throwing knife. Hutu and other Rwandan children in Virunga National Park. Burundian delegates at the Soviet-sponsored 1973 World Festival of Youth and Students in East Germany. Micombero managed to navigate between communist and Western powers during the Cold War. Image of the region between Lake Victoria (on the right) and Lakes Albert, Kivu and Tanganyika (from north to south) showing dense vegetation (bright green) and fires (red). Satellite view of the African Great Lakes region and its coastline. Demographics of Burundi, Data of FAO, year 2005 ; Number of inhabitants in thousands. An oxhide ingot from Crete. Late Bronze Age metal ingots were given standard shapes, such as the shape of an "ox-hide", suggesting that they represented standardized values. Coin of Alyattes of Lydia. Circa 620/10-564/53 BCE. The earliest inscribed coinage: electrum coin of Phanes from Ephesus, 625-600 BC. Obverse: Stag grazing right, ΦΑΝΕΩΣ (retrograde). Reverse: Two incuse punches, each with raised intersecting lines. This earthenware dish was made in 9th century Iraq. 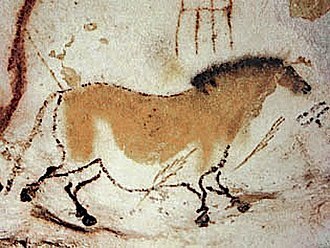 It is housed in the Smithsonian Institution in Washington, D.C. 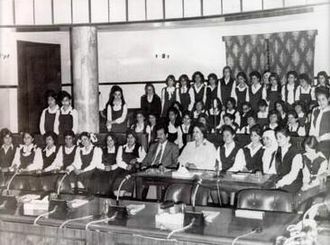 Promoting women's education in the 1970s. U.S. Army soldier searches an Iraqi boy, March 2011. Porta Maggiore, one of the twelve medieval city gates of Bologna. Depiction of a 14th-century fight between the Guelf and Ghibelline factions in Bologna, from the Croniche of Giovanni Sercambi of Lucca. 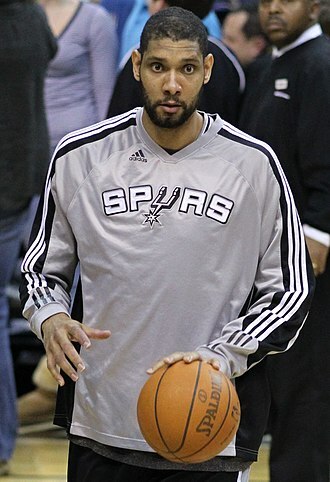 Duncan backs down Ben Wallace in a 2005 game.